All our electricians are highly qualified and background checked, so you can feel comfortable and safe welcoming us into your home. We enter your house wearing shoe covers and we place mats on the floor of all work areas to catch debris. We then vacuum/sweep the area clean before leaving. We evaluate the job, then enter it into our pricing software system. 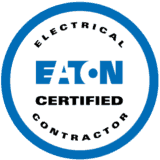 You will be presented with all of your options and a fair price to perform the electrical work. The price we quote is the price you pay – no surprises! Electricians are available 24/7 for after hours and emergency calls at your home or business. Our qualified and experienced electricians serve all of Polk County, including Lakeland, Lakeland Highlands, Winter Haven, Lake Alfred, Lake Wales, Haines City, Mountain Lake and Davenport.